The Office of the Grand Master was founded in 1993 after Phyllis Lei Furumoto, the recognized lineage bearer, and Paul David Mitchell, recognized as Head of Discipline, formed a partnership to maintain the strength of the system brought to them by HawayoTakata. The purpose of the Office of the Grand Master is to be the still-point for the practice ensuring that the integrity and potential of this simple practice of Reiki be preserved and kept vital in the present and for future generations. The “OGM” offers clear teaching and guidance for understanding the form of the system as well as its universal philosophical foundation. The OGM offers opportunities for learning the practice, support for deepening the experience of the practice, and large events allowing students to share the energy of community. Phyllis Furumoto and Paul Mitchell teach from the basic instruction and wisdom of Hawayo Takata, the circle of masters that she initiated, and their accumulated experience of teaching and their personal practice. 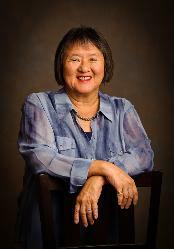 Through her own fun loving, humorous spirit, Phyllis shares her wisdom gained through her own practice as a master and lineage bearer since 1980 and from her travels throughout the global reiki community. If you would like to be on the OGM mailing list to receive invitations to events with Phyllis Furumoto and Paul Mitchell please follow this link and complete the form.